Plaxton is the UK's largest coach builder and has been at the forefront of coach design, engineering and innovation since 1907. View our adverts for latest information on our world class coaches or check our stock list for immediately available coaches! 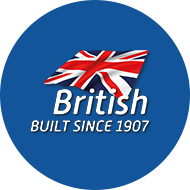 British Built to Last – delivering best-in-class whole life costs, superb fuel efficiency, stainless steel body structures and outstanding residual value. Built to Meet Your Needs – flexible specs, so you always get precisely the right coach, and adaptable to suit your evolving requirements. Extensive, Trusted Ranges – proven in practice from a brand you know you can trust. Superbly Supported – whichever Plaxton you choose, our after sale service and support is second-to-none. The versatile Plaxton Panorama double decker is built for high capacity, luxury travel with up to 87 seats and flexible accessibility arrangements. The Panther Cub is the baby of the Panther family, designed to give passengers all the comforts they’ve come to expect from a Plaxton coach. The Panther LE is an innovative low entry vehicle that combines bus accessibility with coach comfort.